A wonderful actress! 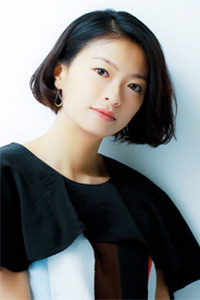 I love her in Love Operation with Yamapi and etc. And I espcially like her acting with Jun in I Love My Sister. She has a great talent and is an AWESOME actress! Nana chan! Cute Seventeen model and actress! Love her in Dandori! Ganbare Nana chan! She is actually sweet and HOT! Loved her in Kiken na Aneki. Where's her picture? Amazing, emotional performance in N no Tame ni!